Juice Brown is a smooth diverse and vocally gifted crooner and songwriter from Youngstown Ohio. He has created a buzz in the local music industry and his sound has been compared to likes of RB greats such as Joe Jaheim and Jamie Foxx. His highly anticipated free EP entitled Gemini is scheduled for an early 2012 release. Juice has teamed up with his brother and a childhood friend to form an independent record label and publishing company called Oakhill Music Group or simply O.M.G. “I want our label to be more than just music. 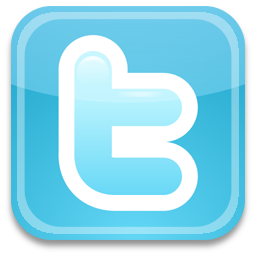 I want it to be a vehicle for independent artist to get the music out to the public. I want O.M.G to be something Youngstown and Ohio can be proud of” said Juice Brown. Rick Stevens from Real Music wrote “Juice Brown is a breath of fresh air to the RB genre. His music has a unique mixture of smooth RB and the gritty soul of the streets. I loved every track on Gemini!” From childhood Juice was destined to be a singer. Juice was born into an extremely musical family where his father tailored the musical talents of Juice and his brothers at a very young age. At the tender age of 9 Juice Brown and his brothers formed a singing group called the Brown Brothers. They would sing at local talent shows and churches gaining the respect of the community for their pitch perfect harmonies. While being a star football player at Liberty High School Juice penned and recorded his first song titled One Night Stand which went on to become a local success. Juice put his musical ambitions on hold while he accepted a scholarship to play collegiate football. After returning home to Youngstown Juice picked up his pen and began to sharpen his songwriting skills. He teamed up with childhood friend and a respected Youngstown hip-hop artist 100 Proof to record the local hit “Exclusive Chick”. During this time Juice recorded a two song demo which fell into the hands of Youngstown legend and music industry veteran Rufus Blaq. After meeting each other for the first time Juice and Rufus immediately started working on new material. Rufus Blaq has released a major label album in 1998 as a hip hop artist called Credentials. He has written or recorded songs with Salt and Pepper Queen Latifah Omarion Faith Evans The Lox The Notorious BIG Bow Wow Angie Stone Faith Evans Tachina Arnold (Pam from TV series Martin) and the list goes on. Instantly Juice and Rufus studio sessions began to produce raw and soulful music. Rufus Blaq is also featured on the first single from The Gemini Ep called War Cry. 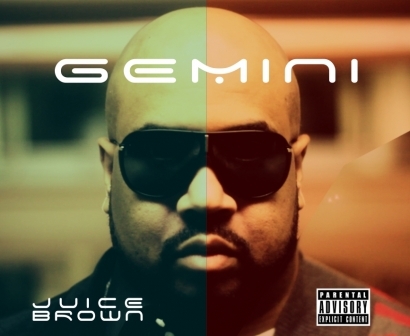 With his highly anticipated Gemini EP on the horizon and the creation of his newly formed independent record label OMG Juice Brown is poised to take the world of RB by storm. Enjoy!!! I can dig it bro! !